Lady Dona St Columb is beautiful, headstrong - and bored. Desperate to escape the pomp and ritual of the Restoration Court, she escapes to the hidden creeks and secret woods of the family estate at Navron, in Cornwall. Though renowned for her passionate engagement with life, privately she years for freedom, integrity and love - whatever the cost. Lady Dona St Columb is somewhat notorious in London, which is not a bad achievement considering that she was part of the court of Charles II where there were plenty of notorious people, both men and women! She is known for accompanying her husband, Harry, and his friends to card games and bawdy houses. After one particularly ribald prank where she dressed as a boy and scaring the living daylights out of an elderly society matron, Dona realises that this life is empty and that she wants... more. She leaves her husband and his friends and the court of Charles II, takes the kids and heads to the family's country estate - Navron House in Cornwall. Once she arrives she is a little surprised to find that there is only one servant in the house, William, and even more strange, there is a jar of tobacco and a book of poetry in her room. Dona was looking forward to some peace and quiet, but it isn't long before the true adventure finds her, in the form of a ship full of pirates led by the handsome and charismatic Jean Aubrey. The local landowners are determined that they are going to catch the marauding French pirates who are stealing their goods and allegedly bothering their women folk but, so far, have been far to clever to be caught in their traps. Dona finds herself caught up in both sides with her husband and his friends working to catch him and Dona compromised by her growing relationship with Jean, but this might just work to his benefit. Du Maurier is such a clever author. I had no doubt that Dona was shallow and unlikable as we first met her, in the same way that her husband was quite spineless and his friend Rockingham was much cleverer and quite sly and determined to capture Dona for himself. By the time we get to the end of the book, Dona is still impetuous and adventurous but this reader was also sure that she was a better person. 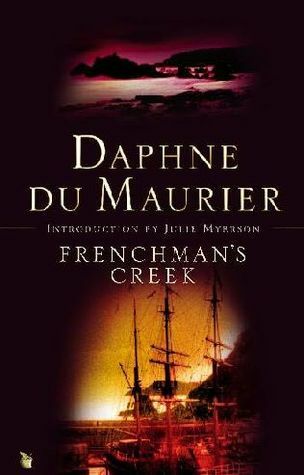 When I mentioned that I was reading this book on Goodreads, someone commented that this is one of Du Maurier's most romantic novels, and at its heart, Frenchman's Creek is a romantic book without necessarily meeting all the structural requirements of a romance. It is also quite bawdy in parts, something that quite surprised me. After reading a few nudge, nudge, wink, wink sections of narrative I realised that it wasn't just the way I was reading the book but that those nuances were deliberately placed. For me, the strongest aspects of the book were the action sequences. 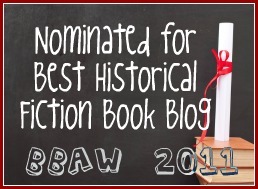 There were beautiful passages of description and reflection, but it was when the pirates were in action and Dona caught up in danger and intrigue that my heart was racing and the pages kept on turning. Towards the end of the book the pacing was a little up and down, but it certainly kept my attention right to the very end! One of the things that I found interesting was that the opening chapter was told from a modern perspective as someone takes the opportunity to take a picnic in the ruins of Navron House. With the use of modern narrative to introduce a story such a common motif in current historical fiction, it was interesting to note that it was being used by authors like Daphne du Maurier (and presumably others as well) were using it so long ago as well. I have owned this book for many years but had never read it before. It's been a couple of years since I read my last Daphne du Maurier book, but I am determined to read more from her now! I liked this one a lot, and would definitely read it again. You should see the cover I got from the library copy. Oh my. Hah! There are definitely some shockers out there! I have this one, too. I really should read it one of these days. I haven't read anything by du Maurier since 2010 despite planning to lately! It had been a couple of years since I read one too. Great review, Marg. Although I didn't like this one as much as some of du Maurier's other novels, I still think it is an enjoyable read. I'm glad you liked it, Marg! This was easily one of my favorite reads the first time I read it some time ago. Nice review and insight into Dona's character.